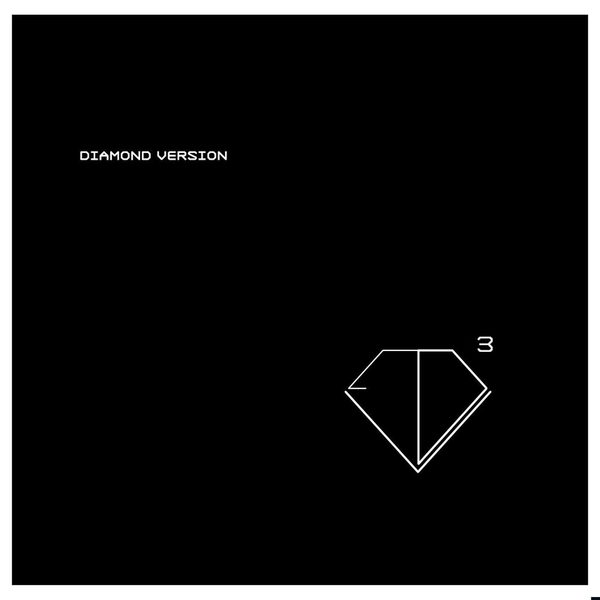 Carsten Nicolai and Olaf Bender roll out another Diamond Version EP off their production line with an efficiency they're no doubt acutely aware, and proud of. Far from offering diminishing returns, though, this project seems to get more interesting with each 12" instalment: 'Turn On Tomorrow' eschews the hard lines and sharp corners we've come to expect from these producers in favour of something more fluid and amorphous, resulting in a slippery, stealthy electro bomb that reminds us of nothing so much as early Touchin' Bass productions. There's a return to S-M severity on 'Sense Of Urgency', a heads-down, body-popping dancefloor killer with shades of Depeche Mode, Kraftwerk, Aux88 and Byetone's solo stuff. It sounds like something you might have heard at the better sort of electroclash party in 2003, but harsher, more stylish. The duo then revisit 'Turn On Tomorrow' for a souped-up version that sounds like the illest ghetto-tech thumper broken down to to its constituent parts and rebuilt to the highest possible spec by Mercedes' brainbox R&D engineers.